You may be very disciplined with your spending habits and don’t have trouble sticking to a budget. But what happens when your significant other has a completely different money personality and loves to spend? Money issues present challenges for many couples – especially those that have conflicting money personalities or different spending habits. Learning to compromise and putting together a budget that works for both parties may help to reduce some of this conflict. But there are many other things you can do as well. 1- Accept each other’s money personalities. The first step to coming to terms with your spending disagreements is to accept and acknowledge your significant other’s money personality. Needless to say, this is much easier said than done. But the truth is that whether your mate is a compulsive shopper or he/she tends to analyze every single purchase, this is likely an intrinsic part of who they are. So don’t start from the position that you need to “change” the other person. Over time, some of their more excessive behavior may change – especially if you are a positive influence and handle money conversations sensitively and without being accusatory. However, when you don’t agree with all of your partner’s spending choices or fiscal habits, understand that you simply don’t have the same perspective about money – and you probably never will. 2- Create a realistic budget – together. Don’t allow one person to shoulder the sole responsibility of creating a budget or managing your joint accounts. That’s asking for trouble when two individuals have completely different views about money and different financial practices. Instead, set aside time to review finances together and create a realistic budget based on your spending habits and your mate’s. The idea is to establish a budget both of you can live with and agree to over the long haul. Make a note of average expenditures for a given week or month, and play an active role in making suggestions for changes to the budget. 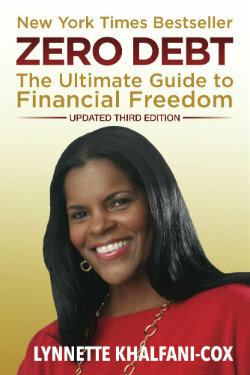 Also, try to develop a budgeting system that works for both parties and is comfortable for each of you. Couples that can work through thorny financial issues instead of just avoiding money conversations are helping to keep their relationships in tact. That’s because all that better financial communication can help you create more open dialogue about non-money issues as well. And good communication is a cornerstone of a healthy, thriving relationship. If your significant other just can’t stop spending or has a tendency to go on impulsive spending sprees, make sure he or she is aware of the weekly budget limit and is being honest about how much he or she is spending on extra purchases. Bringing up the issue without being confrontational can be tricky, but you may be able to create a new expense category for miscellaneous purchases within your budget. This way, your significant other can enjoy some freedom to spend without going over budget each month. 4- Don’t fuel a credit card habit. Don’t fall into the trap of using credit cards for everyday purchases – even if you’re earning cash back or any type of rewards points. The credit card habit can be very difficult to break when someone in the family enjoys shopping on impulse. Take steps to pay for everything with cash and encourage your significant other to set a budget before each shopping trip. 5- Do more shopping together, including comparison-shopping. When you need to tighten up your budget and your significant other still insists on shopping, plan on shopping together. Take the time to create a list so that random purchases don’t wind up in your shopping basket. Also, be sure to set aside time before going on a shopping trip to research the product, compare prices, and make the best decisions about what you’ll buy, where, and what price. Sometimes just having someone along to shop with can be enough to ward off a mindless shopping spree and may help your significant other make more rational purchasing decisions. 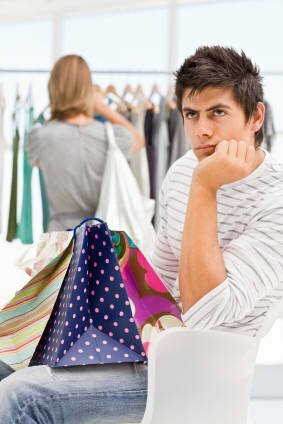 A word of caution though: don’t become the shopping police, constantly saying “no” or acting like you’re going to “fine” your mate for every shopping “violation.” If you become nothing but a “killjoy,” your mate will quickly tire of having you go along on shopping ventures. 6- Agree on financial fidelity. Either one of you can blow your budget if you keep financial secrets. Surprisingly, though, many people keep money secrets from their spouses or significant others. If you’re shopping on the sly, buying clothes, shoes or other goods and hiding them from your partner, you may think you’re avoiding an argument. In reality, you’re being financially unfaithful and are building up a wall of secrecy that prevents open and honest communication. Even worse, if your mate finds out that you’ve been keeping secret bank accounts, spending without his or her knowledge, or making other financial moves in secret, he or she may resent you and may wonder what other secrets you’re keeping. 7- Know that separate accounts are OK. Realize that it’s fine to have separate checking or savings accounts even when you’re in a committed relationship. In fact, separate accounts – again, one that your partner knows about; not a “secret” account” — can be healthy and beneficial for both parties in several ways. Having your own checking account helps you learn to balance a checkbook and manage cash flow. It also reduces arguments about money because it gives each individual a greater sense of financial autonomy. And finally, a separate account can be a nice way for the more fiscally “responsible” party in a relationship to demonstrate or model “good” financial behaviors to the other person. After all, if you’re the saver or planner in a relationship, and your mate is always spending and is constantly broke, it’s possible that your good habits might rub off on your honey, particularly if they see that your separate account is never overdrawn or down to its last dollar. Many couples that achieve financial harmony ultimately find that it’s best to have both separate accounts and a joint account as a way to most effectively manage their budgets. Particularly if you’re married or are living together, that shared account could be used to pay your joint household expenses and to help fund shared or future goals. And when you’re on the same financial page as your mate, money differences start to fade into the background – even if you do have very different money personalities.